Everyone loves bubbles! 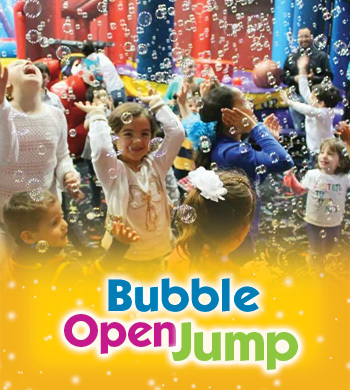 We'll shower the kids with bubbles a few times in the 2nd arena during our Bubble Bounce Open Jump! Children must be at least 34" tall to play on our inflatables. Snow Ball Feud Open Jump! 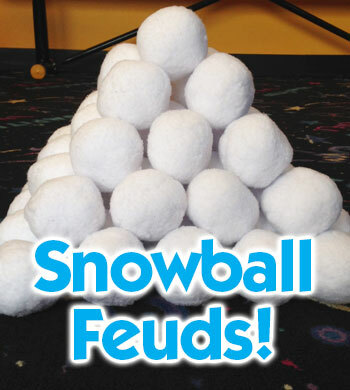 Are you ready for a good old snowball fight Pump It Up style? While playing in our arenas we will have soft indoor snowballs available for a fun fight! Children must be at least 34" or taller to play on our inflatables. Let the games begin! 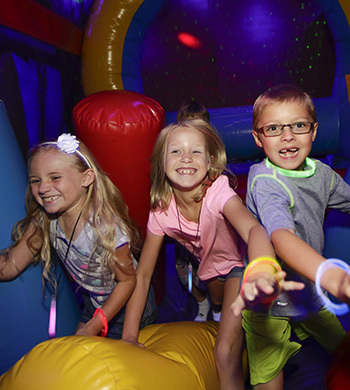 Every child will get a FREE Glow Bracelet & use of our Glow Ball Blasters! 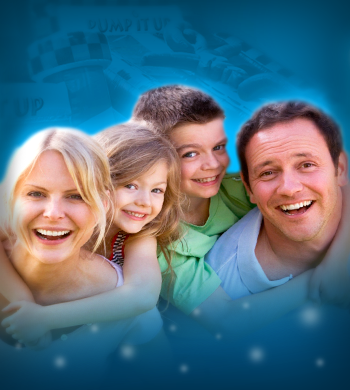 The kids & parents are easy targets when you rotate into our 2nd arena to experience our awesome Glow & Special effect lighting with glow in the dark blasters & soft pong balls. The kids just love it! Wear your glow friendly clothes to Pump It Up! 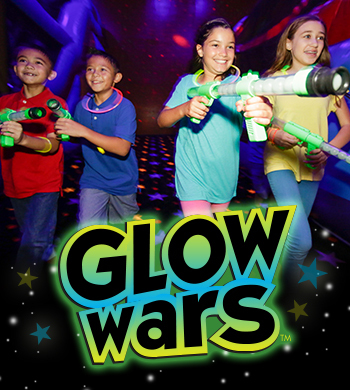 Glow wars is recommended for ages 8+ however, all ages are welcome at your discretion. *All Open Jump sessions are first come first served. Open Jump sessions are subject to change and may be temporarily canceled due to a private event, holiday, or school closings. Be sure to check our online calendar. We are sorry, but Birthday Parties are NOT permitted during Open Jump. Children must be at least 34" or taller to jump. See online calendar for schedule. Schedule subject to change. Yep! You read it right! 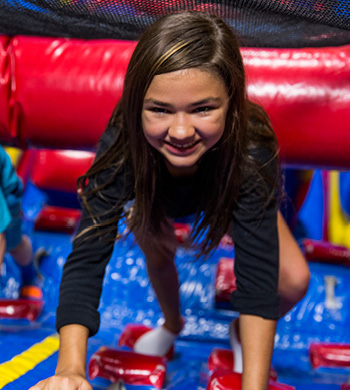 Wear your pajamas to Pump It Up tonight for one zany experience! The kiddo's will be ready for bed after jumping on our gigantic inflatables! Kids must be at least 34" or taller to play on our inflatables. Go with the Glow! Wear your glow friendly clothes to Pump It Up tonight! 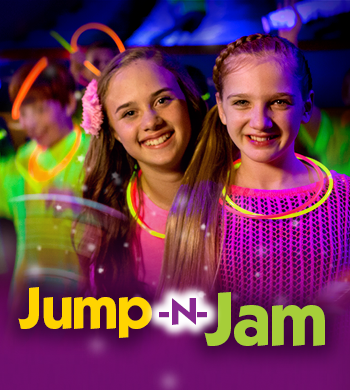 Every child will get a FREE Glow Bracelet when we rotate into our 2nd arena where you will also experience our awesome Glow & Special effect lighting! The kids just love it! Party like a Rock Star! Sing Karaoke & dance under our black lights & special effect laser lighting when we rotate into arena B. Don't forget to s ear glow friendly clothing! FREE Glow Bracelet for every child! Are you up to a sing off? 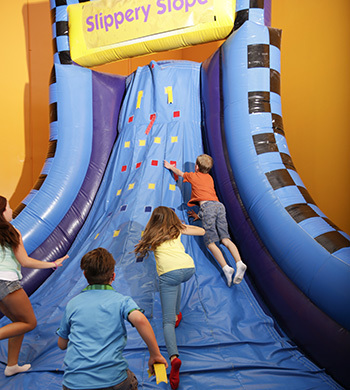 Join us for 1.5 hours of playtime on our giant inflatables then pizza & drink afterwards in our party room! Each child will receive 2 slices of cheese pizza & a juice box! Adults may purchase pizza, too! $2.95 for 2 slices of cheese pizza & a juice box! View our online calendar for current availability. $12 per child. Plus $2 for pizza & drink. 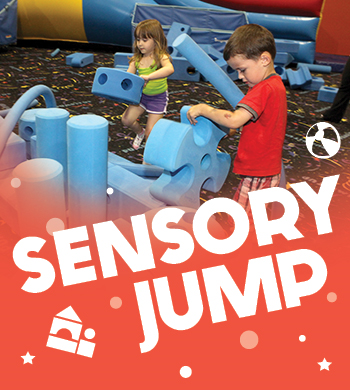 Valid for all $12 Open Jump sessions. Save big! 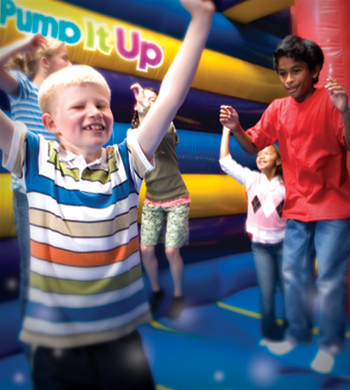 We have Open Jump almost every day at Pump It Up! This also makes a great Birthday Present, Stocking Stuffer, Easter Basket or reward for being a great kid!